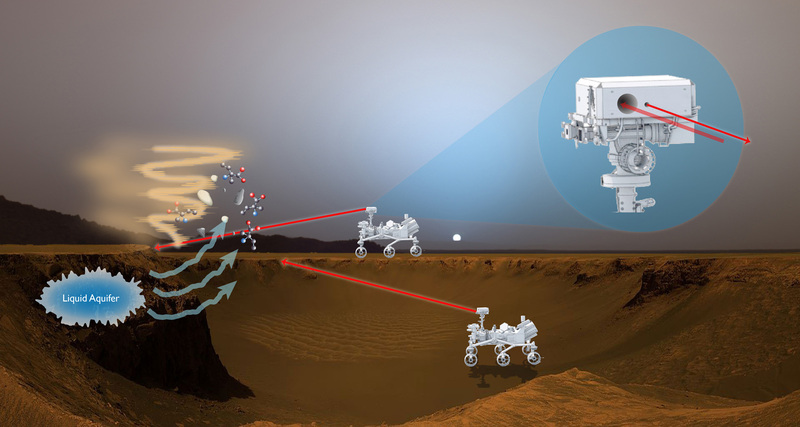 Technology originally developed for the military to detect airborne biohazards may now be used to search for life on Mars. Physicist Branimir Blagojevic, who originally helped develop the Bio-Indicator Lidar Instrument or “BILI” while at Science and Engineering Services Inc., is now a NASA technologist at the Goddard Space Flight Center in Greenbelt, Maryland, and hopes to mount the BILI on a Mars rover. Lidar, short for “light radar,” operates much like traditional radar, but uses laser light instead of radio waves to measure distances. When mounted on the mast of a rover, it sends pulses of ultraviolet light through plumes of atmospheric particles in Mars’ air, causing the particles to either resonate or fluoresce. By analyzing that fluorescence, scientists could then determine the age of any organic particle. “If the biosignatures are there, it could be detected in the dust,” Blagojevic said.